Christopher A. Cole: Advertising & Media/Litigation & Trial Lawyer: Washington, D.C.
Crowell & Moring's Regulatory Forecast 2017. Christopher Cole is the co-chair of Crowell & Moring's Advertising & Media Group, a team that provides interdisciplinary solutions to companies facing challenging competitive and regulatory issues. Chris focuses on false advertising, unfair competition, reputation, brand disparagement, and intellectual property. He is an experienced litigator, handling Lanham Act and consumer class action cases, and defending against Federal Trade Commission (FTC) enforcement and related investigations. He has handled dozens of cases before the National Advertising Division (NAD). Chris has for many years been ranked among the top false advertising litigators in the country by Chambers & Partners, which has described him as a "superstar," "incredibly responsive," "outstanding," "cost-conscious," "hard-working," and has said that he "gets to the heart of the concept quickly and understands the advertising motivation in relation to the law." He is included by SuperLawyers among the top Media and First Amendment lawyers in Washington, D.C., and by Best Lawyers in America for Advertising Law. Chris also has a varied and active counseling practice. He is widely respected as an authority on advertising claims substantiation and the associated sciences of product testing and consumer research. He has overseen consumer protection regulatory due diligence in transactions. And, he provides strategic and risk management guidance to some of the world's leading companies in industries such as food and beverages, media and telecommunications, home appliances, technology, and consumer products. Chris is the chair of the American Bar Association's Section of Antitrust Committee on Advertising Disputes and Litigation, an editor of the ABA's major treatise on Consumer Protection Law and Developments, author of the chapter on “Claims Substantiation” in the ABA’s recently released Advertising Claims Substantiation Handbook, and is a frequent speaker and commentator on advertising issues. Antitrust/consumer protection. Working with trial team as the lead AT&T lawyer on consumer survey and measurement issues in the pending United States v. AT&T, Inc., et al., litigation by the U.S. government to enjoin AT&T’s merger with Time Warner. FTC Investigations. Represents major advertisers in conjunction with both ongoing and successfully closed investigations and litigation by the FTC in the areas of telecommunications, beverages, consumer products, and technology. Lead counsel for Kimberly-Clark Corporation in recently closed FTC investigation into flushable wipes. NAD/NARB. Handled over 50 NAD and NARB matters in just the last five years for clients such as AT&T, DIRECTV, Kimberly-Clark, Matrixx Initiatives, Scotts Company, Intuit, MillerCoors, Honeywell, Samsung, Zero Technologies, Energizer/Edgewell, and Walmart. Member of the ABA task force that conducted a comprehensive review and prepared recommendations for modification of NAD operating procedures, which resulted in substantial changes to NAD's rules. Lanham Act. Lead counsel in numerous Lanham Act false advertising cases, many involving applications for emergency relief, on behalf of clients such as AT&T, Expedia, Edgewell, MillerCoors, Scotts Company, 3M, Zero Technologies, Dyson, and Kimberly-Clark. Class Actions. Defense counsel on consumer class actions regarding consumer product, food, and dietary supplement companies. Counseling and risk management. Chris serves as outside counsel to various Fortune 500 companies, providing and coordinating through Crowell & Moring and a network of global firms, worldwide advice in areas of product regulation, advertising, competition and risk mitigation. Pro bono. Chris maintains an active pro bono practice. He has represented U.S. veterans, organizations dedicated to helping victims of violent crimes, and national advocacy organizations for reproductive rights. "US Advertising and Consumer Protection Update," Davies Ward Phillips & Vineberg, Toronto, ON (May 11, 2018). Presenter: Christopher A. Cole. "Advertising Enforcement in North America: Not Just for Advertising Anymore?" Canadian Bar Association National Competition Law Conference, Toronto, ON (May 10, 2018). Speaker: Christopher A. Cole. "Advertising Enforcement in North America: Not Just for Advertising Anymore?" CBA Competition Law Spring Conference, Toronto, ON (May 10, 2018). Panelist: Christopher A. Cole. "Hot Topics in Tech Advertising," NAD & CARU West Coast Conference, San Francisco, CA (May 1, 2018). Speaker: Christopher A. Cole. "Advertising Claims Support: Case Histories and Principles," White Sulphur Springs, WV (April 17-19, 2018). Speakers: Christopher A. Cole and Lauren Aronson. "Dieselgate: Strategies for Managing Multijurisdiction Consumer Protection Investigations," ABA Section of Antitrust Spring Meeting, Washington, D.C. (April 12, 2018). Speaker: Christopher A. Cole. "Private Labels and Fake News," Grocery Manufacturer’s Association Law Conference, New Orleans, LA (February 28, 2018). Speaker: Christopher A. Cole. “Put it to the Test: Evaluating the Degree of Substantiation Necessary to Back Your Claim,” ACI - Advertising Claims Substantiation Boot Camp, New York, NY (January 25, 2018). Presenter: Christopher A. Cole. "The Private Label Revolution," 2017 ANA/BAA Marketing Law Conference, Chicago, IL (November 13, 2017). Panelists: Christopher A. Cole and Ryan C. Tisch. ”Managing Advertising Liability for Technology Products,” 29th Annual All Hands Meeting 2017, Santa Clara, CA (October 18, 2017). Presenters: Michelle Gillette and Christopher A. Cole. 2017 Advertising Claims Support: Case Histories and Principles, White Sulphur Springs, WV (April 18, 2017). Presenters: Christopher A. Cole and Lauren Aronson. "Advertising Mock Trial: False, Misleading or Deceptive?" 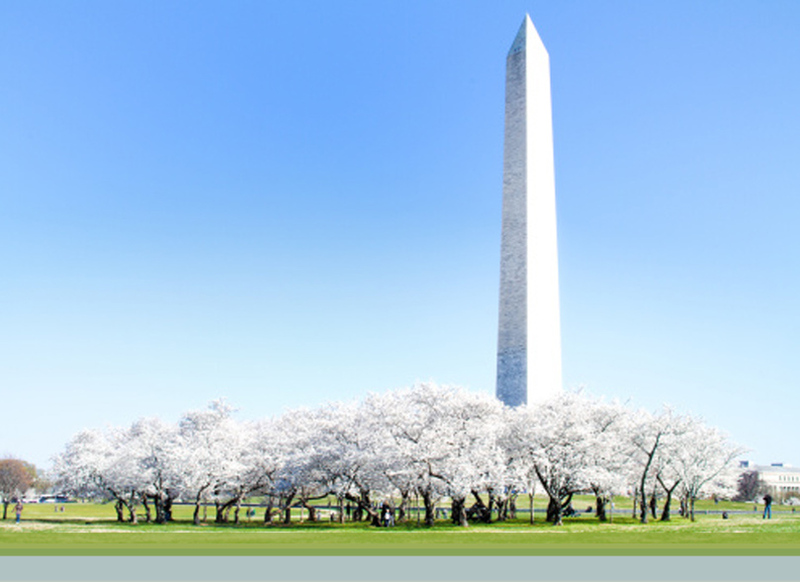 ABA-Antitrust Law 2017 Spring Meeting, Washington, D.C. (March 28, 2017). Presenter: Christopher A. Cole. "Roundtable Discussion on Marketing and Advertising Law," GMA 2017 Legal Conference, San Diego, CA (February 27, 2017). Presenter: Christopher A. Cole. Co-Chair, ABA Antitrust Section Consumer Protection Conference (2017). "Claims Substantiation in Novel and Evolving Technologies," 2017 Consumer Protection Conference, Atlanta, GA (February 2, 2017). Presenter: Christopher A. Cole. "Advertising and Marketing Issues in 2017 and Beyond," Association of Corporate Counsel SoCal Chapter In-House Counsel Conference, Anaheim, CA (January 26, 2017). Presenters: Christopher A. Cole and Josh Thomas Foust. "Consumer Protection 2.0," Crowell & Moring Webinar (January 5, 2017). Presenters: Christopher A. Cole, Peter B. Miller, and Kristin J. Madigan. "Consumer Protection Enforcement Activities and Compliance Strategies," LSI's 25th Annual Seattle Conference on Technology Law, Seattle, WA (December 2, 2016). Presenters: Christopher A. Cole and Kristin J. Madigan. “Developing Aggressive Marketing Campaigns in a Hyper-Risk World,” 2016 ANA/BAA Marketing Law Conference, Chicago, IL (November 10, 2016). Moderator: Christopher A. Cole. "NAD, NARB & Advertising Self-Regulation: The ABA Report: One Year Later," National Advertising Division Conference 2016, New York, NY (September 27, 2016). Presenter: Christopher A. Cole. "Avoiding Pitfalls When Making Food and Consumer Product Claims," GMA Science Forum, Washington, D.C. (April 18, 2016). Presenter: Christopher A. Cole. "Risky Business: The Boom in Advertising Enforcement," ABA – 64th Antitrust Law Spring Meeting, Washington, D.C. (April 7, 2016). Moderator: Christopher A. Cole. "Advertising Law," GMA Legal Conference, Rancho Mirage, CA (February 24, 2016). Presenter: Christopher A. Cole. "Marketing Solar Energy to Retail Customers: Advertising Claims and SEIA’s Solar Business Code," Webinar (January 12, 2016). Presenters: Christopher A. Cole, Richard Lehfeldt and Peter B. Miller. "INSIGHT: The Communications Decency Act Safe Harbor: Pendulum Swings In 2018," Bloomberg Law Tech & Telecom (September 4, 2018). Authors: Christopher A. Cole, and Gabriel M. Ramsey. "Is the Cambridge Analytica Scandal a Watershed Moment for the Ad-Funded Internet?" Crowell & Moring's Retail & Consumer Products Law Observer (March 27, 2018). Author: Christopher A. Cole. "Fourth Circuit Raises Bar for DMCA Safe Harbor Defense," Crowell & Moring's Data Law Insights (February 5, 2018). Authors: Joseph L. Meadows and Christopher A. Cole. "“Do Not Resuscitate”: Lessons for Advertisers," Crowell & Moring's Retail & Consumer Products Law Observer (December 6, 2017). Author: Christopher A. Cole. "Subverting Democracy, Advertising, and the Economy Through Bots," Crowell & Moring's Retail & Consumer Products Law Observer (November 27, 2017). Author: Christopher A. Cole. "Quincy Biosciences: What the decision means for advertising of health claims, and what it means to the FTC," Crowell & Moring's Retail & Consumer Products Law Observer (November 22, 2017). Author: Christopher A. Cole. "Claims Substantiation for New Technologies," Antitrust, Vol. 31, No. 3 (Summer 2017). Author: Christopher A. Cole. "This Week in Digital Advertising: Fake News, Bots, and Implications for Digital Trust," Crowell & Moring's Retail & Consumer Products Law Observer (July 17, 2017). Author: Christopher A. Cole. "New Private Right of Action in Canada for False or Misleading Electronic Advertising," Crowell & Moring's Retail & Consumer Products Law Observer (April 27, 2017). Authors: Christopher A. Cole and Tony Di Domenico. "Ad Fraud and Programmatic Buying Are Eroding Trust in Digital Media," Crowell & Moring's Retail & Consumer Products Law Observer (March 28, 2017). Author: Christopher A. Cole. "Avoiding Compliance Red Cards After FIFA Scandal," Law360 (July 2, 2015). Authors: David Ervin, Jeff Severson, and Christopher A. Cole. "Not as Easy as Advertised: New Challenges in Bringing a Successful § 43(a) False Advertising Case," The Antitrust Source (August 2013). Co-Authors: Christopher A. Cole and Jason M. Crawford. ABA Section on Antitrust, Consumer Protection Law Developments, "Lanham Act" Chapter (2011). Co-Authors: Christopher A. Cole and Michael Bhargava. "Challenging a Competitor's False Advertising," Inside Counsel (October 7, 2010). Author: Christopher A. Cole. May.09.2018 Chambers USA 2018 Ranks 52 Crowell & Moring Lawyers and 24 Practice Areas Among Best in U.S.
May.26.2017 Chambers USA 2017 Ranks 53 Crowell & Moring Lawyers and 23 Practice Areas Among Best in U.S.